Looking to turn your hardwood floors from trashy to tremendous? Fabulous Floors Michigan in Lake Orion, MI is the company you can trust to transform your hardwood floors. We have years of experience and practice that has enabled us to deliver an incredible service at a competitive price. Our process is completely GREENGUARD certified, meaning that it is good for the environment as well as your home. Fabulous Floors technicians have the proper hardwood refinishing training and promise to go above and beyond in all that they do. 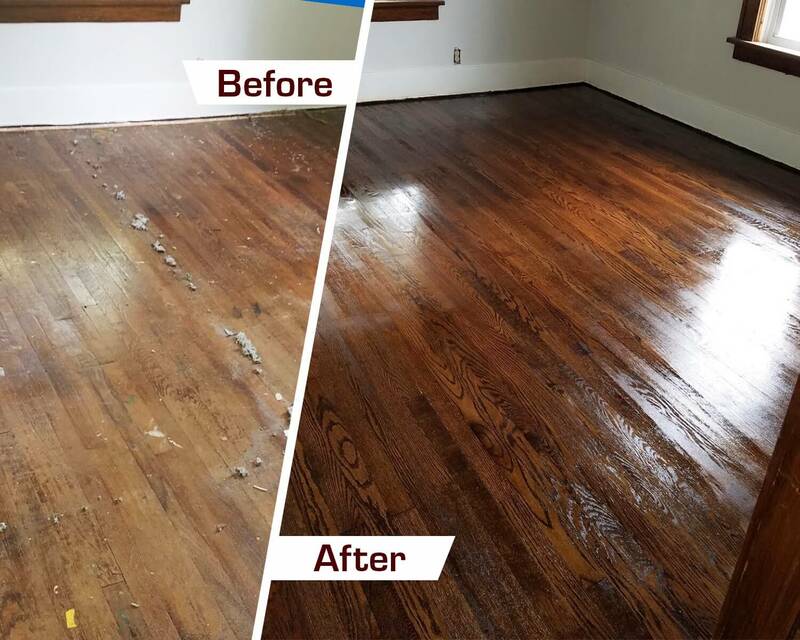 Our refinishing process is virtually dust free and sure to transform your hardwood floors into what they used to look like. Get in touch to learn more about our hardwood floor refinishing service in Lake Orion, MI. Bring back the beauty of your hardwood floors today! Over the years, we have been able to make our process as efficient and effective as possible. This is done with four basic steps. First, we will remove any carpet that is present. Next, we use our innovative sanding machine to smooth over any scratches or dents that may be on your hardwood floors. Our technicians will sand those hard to reach spots too. After that is complete, it is time to apply the stain. We have over 25 colors of stain for you to choose from. Whether you’re looking to match an existing color or want to switch things up, we have just the stain for you. Lastly, we apply 2-3 coats of a long-lasting, high-quality polyurethane finish. This assists in protecting your hardwood floors from future damage. Best of all, our hardwood refinishing service can be completed within just 1-2 days from when we start.